The Awards Ceremony of the 2018 COAL Prize will be held on October 24, 2018, at the Hunting and Nature Museum, in the presence of the finalists and personalities from the fields of Art and Ecology. The ceremony will be preceded by a panel discussion organized in partnership with the Ministry of Culture on the topic ‘Ten Years of Art and Ecology’ and followed the intervention of artists Lucy + Jorge Orta. 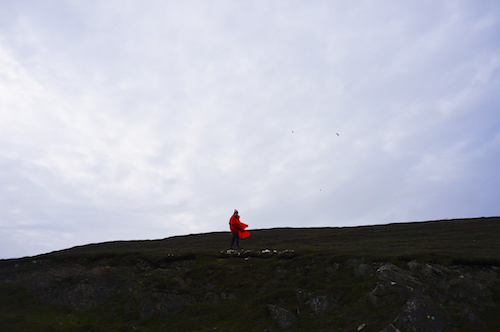 This will take place alongside the exhibition Tierra del Fuego by Angelika Markul, winner of the 2016 COAL Prize, which is on until 2 December. This event is organized on the occasion of COAL’s tenth anniversary. This year, the COAL association celebrates a decade of commitment alongside artists who wish to give their all to using culture as a medium of change, an ecological transition through solidarity. The global ecological crisis now affects all societies, territories and activities, whether through climate change, the scarcity of resources, various types of pollution or the erosion of biodiversity. A global crisis that intertwines with its economic and social consequences. But this crisis is also a cultural crisis. Our globalized culture, our dominant social values and our representation of it, all determine our individual and collective behavior, and ultimately our collective impact on the Earth. The solution to this crisis is not only political and technological, culture can and must play its part. This is what COAL has promoted since its founding in 2008. This year, we see a renewal of this commitment which makes the COAL Prize ever more relevant. In ten years, the COAL Prize has become the international rendezvous for artists who are take on the main universal challenge of our time: ecology. This year again, more than 350 artists from 66 countries representing the six continents competed in an international call for projects. The ten nominated artists were selected for the aesthetic qualities of their proposals, their relevance to environmental issues, their inventiveness, their ability to transmit and transform, and their social and participatory approach. Together, they demonstrate how creation, in its diversity of forms and actions, is a key force in shaping the future of our societies. The winner of the COAL 2018 Prize will receive an endowment of 5000 euros and a residency in the Belval estate, property of the François Sommer Foundation, as well as additional financial support of up to 5000 euros for production. The prize will be awarded to an artist chosen among the 10 finalists by a jury of personalities from the world of art and ecology. 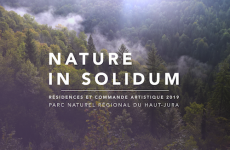 16h30: Panel discussion ‘Ten Years of Art and Ecology’ reviewing the evolution within art and ecology in the past ten years with Nathalie Blanc, Ewen Chardronnet, Thierry Boutonnier et David Lescot. Mediated by Raphaël Abrille. From 18:00: Antarctica World Passport. Lucy + Jorge Orta will reactivate the Antarctic passport distribution office in the museum’s exhibition halls, where the exhibition Tierra del Fuego, by Angelika Markul, laureate of the 2016 COAL Prize is on until December 2, 2018. This evening is part of the series of nocturnes on climate change and the melting of the ice caps presented by COAL at the Museum of Hunting and Nature. 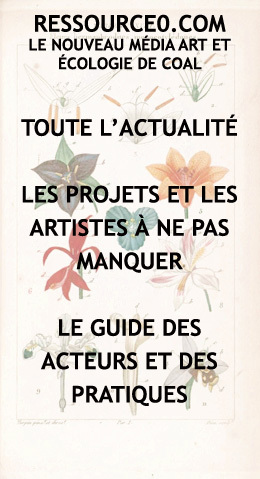 Sponsored by the Ministry of Culture and the Ministry of Ecological and Solidarity Transition, the 2018 COAL Prize will be awarded at at the Museum of Hunting and Nature in Paris, with the support of the Ministry of Culture, the European Union and the Imagine2020 network, the Museum of Hunting and Nature and the François Sommer Foundation.